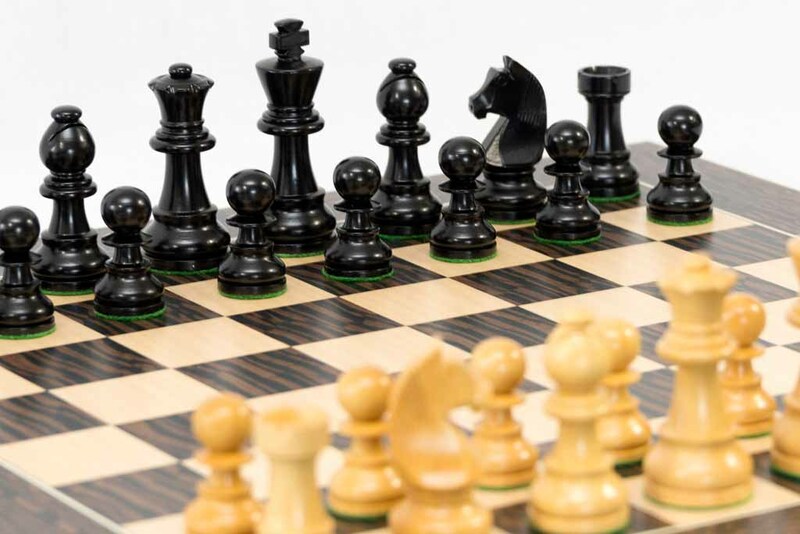 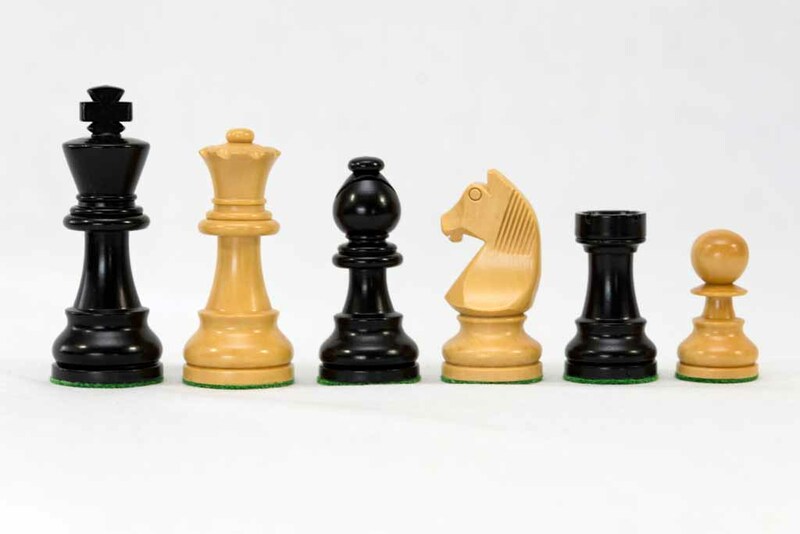 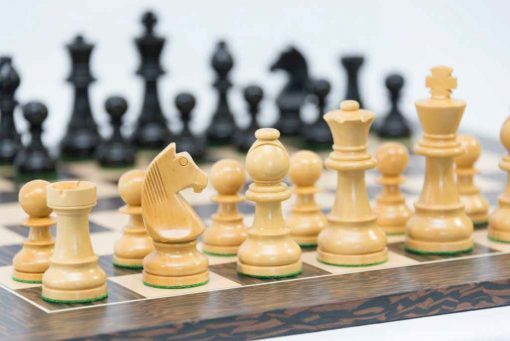 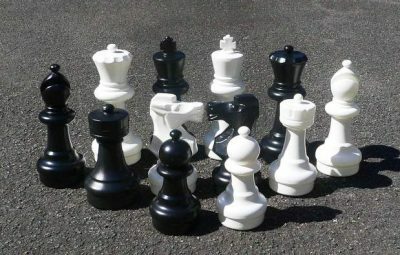 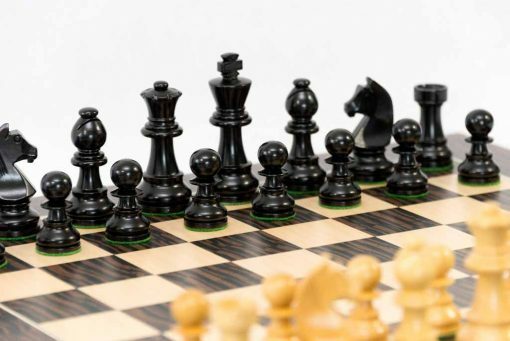 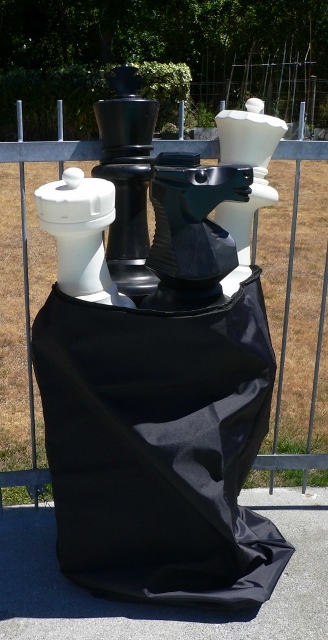 This combination is a Black Boxwood Chess Set with a Deluxe Chess Board. 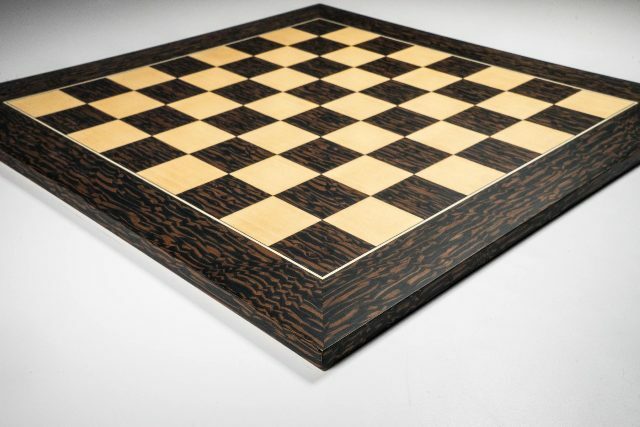 Tiger Ebony and Maple Deluxe Chess Board 50mm Squares. Board measures 500 x 500mm.